Marseilles condos in Perdido Key have only fourteen units in each of the luxury development's two towers. This is the sister building to La Belle Maison. For buyers seeking privacy, Marseilles Condos are certainly worth a look. This rent-restricted development offers condo owners and their guests a truly special sense of quiet community, situated on two hundred feet of azure Gulf waters. Each unit has its own unique elevator code, and the complex is gated as well. The top level of each tower is home to the five-bedroom penthouses that provide nearly 4,000 square feet of sweeping views of the Perdido Key vista. Arrange a showing of available condominiums at Marseille in Perdido Key by contacting The Gatti Team today. Read more about Marseilles here. Sign up now for FREE for complete access to Perdido Key condominium listings, including detailed property specs, area maps, photos and more! Registration also enables you to bookmark your favorite properties, share listings with friends & family, and save your preferred search parameters to save you time on your next visit. Marseilles Condos offer spectacular views of the Gulf from each spacious balcony. High end finishes, a private beach, indoor and outdoor swimming pools, a hot tub, sauna, large fitness center, and grill area are just a few of the amenities in this beautiful luxury condo development. Marseilles' Mediterranean architectural style and fine details in design lend a opulent atmosphere to the complex. 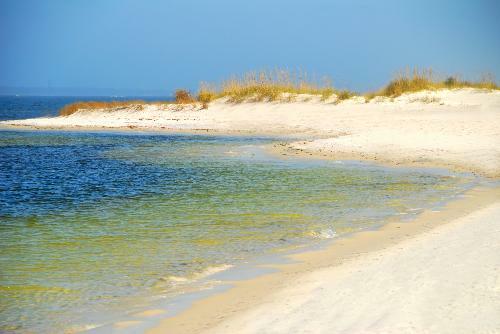 Marseilles real estate is located in the heart of Perdido Key, Florida, which is known for its relaxed pace and natural beauty. Access to areas such as Big Lagoon State Park and the pristine Johnson’s Beach National Seashore is just down the road from Marseilles, and along the strip, Marseilles condo owners and their guests will find every convenience and all the fine dining they can ask for. Whether enjoying a cup of coffee at sunrise on your private balcony or dining on fresh seafood at sunset at your favorite restaurant in Perdido Key, Marseilles’ location offers the feeling of being “away from it all” while being close to all attractions. Ready to tour a Marseilles condo for sale? Contact us today.